Where can you Enjoy Golfing near Huntsville, Alabama? 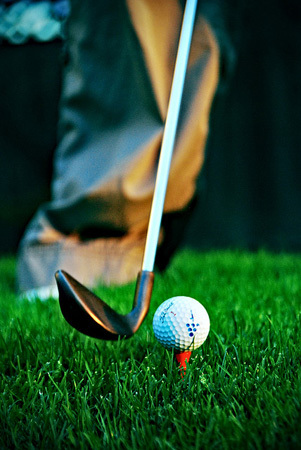 There are plenty of great places to enjoy golfing throughout the Huntsville area. Whether you prefer a private club or a public course, you can find something to suit your needs. Here’s a quick look at some of the top gold courses near the city. Known as one of the finest courses in the area, this is the northernmost stop on the Robert Trent Jones Golf Trail. The course features 54 holes and covers more than 600 acres of land in the river valley. With mountains surrounding the area, there are plenty of great views to enjoy. This course also features a 35,000 square foot clubhouse with a dining room, golf shop and more. Each 18-home course is a bit different with the Highland and River courses including 26 ponds and Bent grass greens. The short course is a par three layout and provides a great place for beginners, children and even the most skilled golfers to play. This 18-hole course provides about 6,500 yards of fun. It features plenty of water hazards, bunkers and Bent grass greens. There’s a driving range, a practice green a sandwich shop found on site, as well. Found in Meridianville, this course provides a great choice in the hill country of Alabama. The fairways are narrow, but there isn’t much rough or out-of-bounds found on the course, which makes it a bit more forgiving. Found eight miles from Huntsville, this is a great place to enjoy a round of golf. Whether you prefer to play the most prestigious course or a well-manicured public course, you can find the right place for you near Huntsville, Alabama.